This is the fourth installment of a position-by-position preview of the 2019 NFL draft. Part one: Running back. | Part two: Wide receiver. | Part three: Tight end. 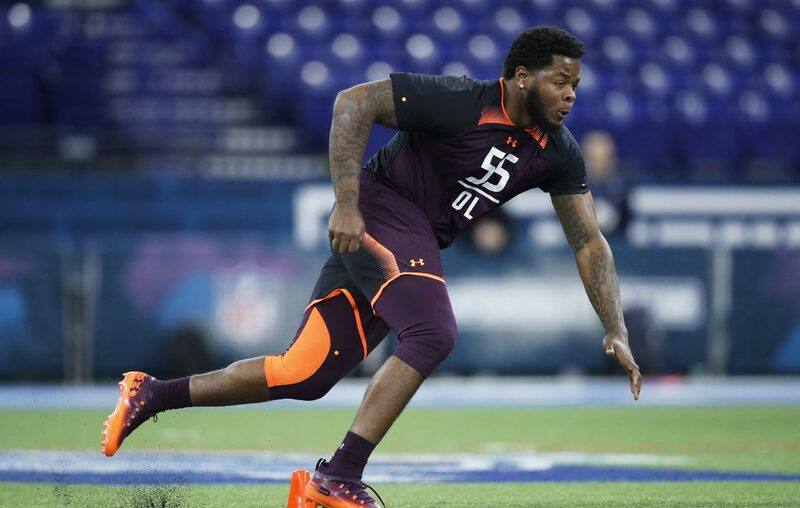 Teams looking for help at offensive tackle will have plenty of options through the first three rounds of the 2019 NFL draft. There likely will be three tackles taken in the top 20 picks and 10 in the first three rounds, depending on how teams project the prospects at tackle vs. guard. Last year, there were two in the top 20, and in 2017, there was one. The 2016 and 2017 classes were thinner at tackle, with only a combined 12 going in the first three rounds. “I think that it’s a good year in the draft at tackle for both the left and right side at various points in the draft, from starting-caliber players to backup players,” said Houston Texas general manager Brian Gaine, a former Buffalo Bills personnel executive. NFL draft boards will vary on the best position for some top linemen. Some project Alabama’s Jonah Williams as a guard. But he started all 44 games of his Crimson Tide career at tackle, including the last 29 at left tackle. We’re counting him as a tackle. Oklahoma’s Cody Ford started at right tackle in 2018 but started seven games at guard the previous two years. The expectation is more teams will slot him at guard, so he’s not on our tackle list. “I think Jonah can play, honestly, all five spots; I really do,” said Bills General Manager Brandon Beane. The best: Jawaan Taylor, Florida. He’s 6 feet, 5 inches, 312 pounds, has elite physical tools and started 35 games in the Southeastern Conference. He’s a naturally huge man. He trimmed down from 383 pounds to 335 as a high school senior. His arms are elite length – 35-0 1/8 inches. Taylor started 33 college games at right tackle. He has the ability to play left tackle, but why mess with success? You probably want to leave him at right tackle, at least to start his career. He gave up just one sack and no other hits on the quarterback in 2018. “He's got some serious torque to be able to latch on and turn and dump guys,” NFL Network analyst Daniel Jeremiah said of Taylor. “He's a really, really good football player who has played on the right side, and I think has the ability eventually if you needed him to, I think he could survive over there on the left side. Bills view: Taylor is a prime option for the Bills at No. 9 overall. However, the signing of Washington free agent Ty Nsekhe gives Buffalo flexibility. The Bills easily could go to training camp with Nsekhe and incumbent Dion Dawkins as the prospective starters and veteran LaAdrian Waddle as the top swing tackle candidate. Then a tackle taken on the second or third day could provide a depth option. If Taylor is still available at No. 9, it might be hard for the Bills to pass on him. The Bills also could trade down in the first round and get a Day One starting tackle, perhaps Alabama’s Williams. Draftniks generally think No. 9 is a bit high for Williams, but he has a low bust factor. A case could be made for Williams at No. 9, too. West Virginia’s Yodny Cajuste is among the tackles the Bills could like in the second or third rounds. Combine woes: Mississippi left tackle Greg Little had a poor combine. His 40 time of 5.33 seconds was second worst among all players. His vertical jump of 25 inches was third worst. Couple that with his reputation for showing inconsistent intensity (which does not fit the Bills’ draft-profile DNA that the McBeane duo likes to talk about). However, Little had a good career against top SEC competition and has elite left-tackle traits. Look for him to go in the second round. Sleeper: Uli Udoh, Elon. The son of Nigerian immigrants, he starred for the Football Championship Subdivision Elon Phoenix. He’s another massive prospect who weighed 370 in high school. His arms are 35-0 3/8 inches. He looked good in the Shrine Game, but he’s a raw, late-round prospect. 1. Jawaan Taylor*, Florida, 6 feet, 5 inches, 312 pounds. Three-year starter with elite size and toughness in run game. Perfect for Bills? 2. Jonah Williams*, Alabama. 6 feet, 4 1/2 inches, 302 pounds. Some teams see him as guard, but he has great technique, intelligence. 3. Andre Dillard, Washington State, 6 feet, 5 inches, 315 pounds. Best pure pass protector in draft comes from pass-happy Cougars. A finesse tackle. 4. Dalton Risner, Kansas State, 6 feet, 5 inches, 312 pounds. Four-year starter, allowed only 1.5 career sacks. Son of a coach. Would be good guard, too. 5. Greg Little*, Mississippi, 6 feet, 5 inches, 310 pounds. Athletic player with elite size and big upside. Intensity level is a question. 6. Yodny Cajuste, West Virginia, 6 feet, 5 inches, 312 pounds. Athletic pass protector with 30 starts. Tore quad muscle and is out until July. 7. Tytus Howard, Alabama State, 6 feet, 5 inches, 322 pounds. Raw, converted TE with big upside. It may take a couple years. 8. Bobby Evans*, Oklahoma, 6 feet, 4 inches, 312 pounds. Athletic three-year starter who played at Allen (Texas) High with Kyler Murray. 9. Kaleb McGary, Washington, 6 feet, 7 inches, 317 pounds. Tall, nasty right tackle who many rate higher. But he has short arms (32 7-8). 10. David Edwards, Wisconsin*, 6 feet, 6 inches, 308 pounds. Former prep QB with tenacity. RT who protected a lefty QB for three years. Mark Gaughan – Mark Gaughan has been a sports writer at The Buffalo News for 35 years. He covers the Bills and the NFL and is a past president of the Pro Football Writers of America, as well as a past selector for Pro Football Hall of Fame.